A couple of Sundays ago, Roy's second cousin Cooper came over to cook with me. As number five in a household of seven kids, Cooper is no stranger to pitching in and helping out. His dad is a great cook and it turns out that Cooper has an affinity for it as well. He and I have cooked together before, and we make a pretty good team. Once he saved the day when I had a mess of salmon to cook for a bunch of people, but forgot to buy a spice rub to put on the fish. He suggested a combination of various ingredients and instinctively knew what would work well together. I was impressed! The jury is still out on what Cooper 'wants to be when he grows up". Sometimes he says he wants to be a plastic surgeon, but I think he'd be a great chef. Below are the recipes from our cooking session. Honestly, we used barbecue sauce from a bottle, but I included two different recipes for a homemade option. I did notice that the store bought sauce had high fructose corn syrup as one of the first ingredients, so homemade would be a healthier way to go. Gently mix all ingredients except the cheese and the bacon together and form into four patties. Grill over medium low heat or fry on the stove. Try to turn only once, cooking about five minutes per side. Top each burger with a slice of cheese. Place on a bun and put two slices of cooked bacon on each patty. Serve with extra BBQ sauce or ketchup. Place all the ingredients in a sauce pan and bring to a boil. Turn the heat down to low and simmer until slightly reduced, about 15 minutes. Preheat oven to 350 degrees. Mix all the ingredients together. Place in a baking dish and bake for 40 to 50 minutes, until warm and bubbly. Or, microwave five minutes. Place the tomatoes, beans, celery, red pepper, green pepper, cilantro, red onion, and jalapeno in a serving bowl . Whisk together the olive oil, vinegar, chili powder, cumin, salt, pepper, and garlic powder. Pour the dressing over the vegetables and gently combine. Serve with tortilla chips. This rich and dense dessert is for the (chocolate) lovers of the world. 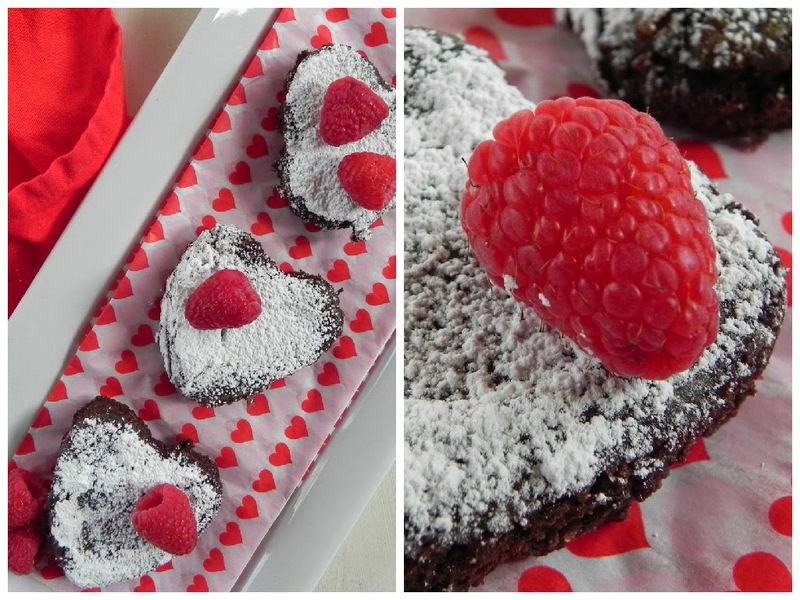 It only has four main ingredients - well six if you count the confectioner's sugar and raspberries used for garnishing - and it's the perfect thing to end a special Valentine's Day Dinner. It's especially great with a cup of coffee. I stumbled on it when I was thumbing through One Big Table , a huge book of American recipes compiled by former New York Times columnist Molly O'Neill. It was located way in the back of the cookbook, and I tweaked it just a bit since I like my chocolate experiences not too teeth hurting sweet. Still, this is extremely decadent so keep the slices small! Happy Valentine's Day! Enjoy! Preheat the oven to 300 degrees. Generously grease the cake pan or individual tart pans (or cupcake pans) with butter. 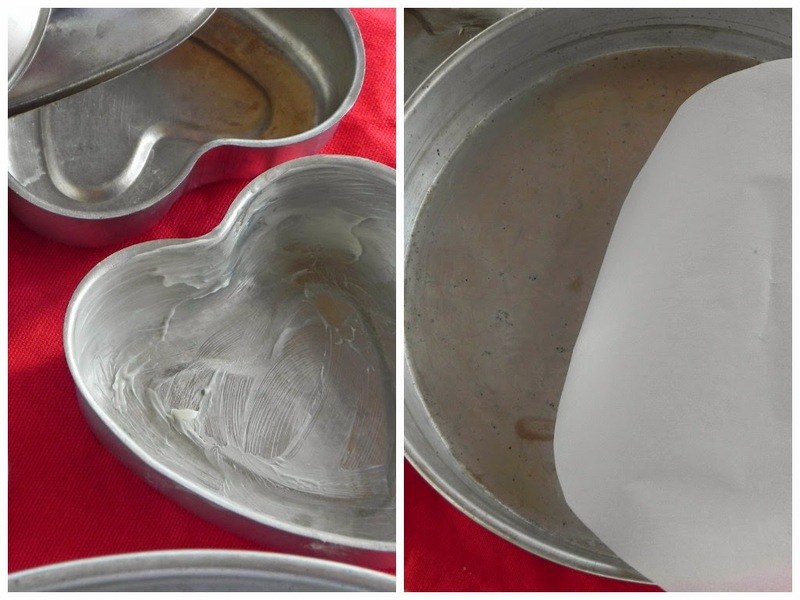 For a cake pan, I even cut a circle of parchment paper out, lay it in the bottom of the pan, and grease it as well. 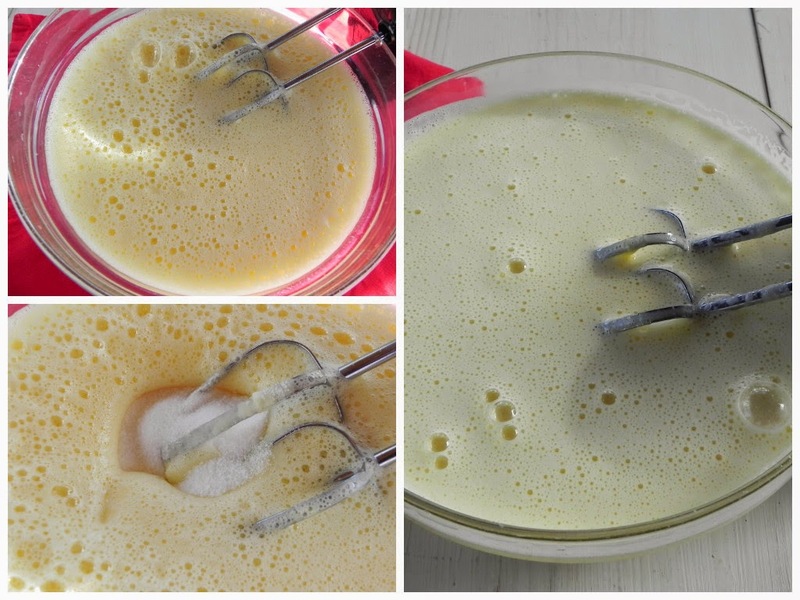 With an electric mixer, beat the eggs until they start to thicken and turn lighter in color. Add the sugar about a third of a cup at a time, beating for about two minutes in between. Beat two more minutes. Put the butter and chocolate into a microwave safe bowl and microwave it for 1 minute and thirty seconds. Vigorously stir it until it is smooth. This takes some effort, but usually the surrounding heat will melt any stubborn pieces of chocolate so it all becomes nice and smooth. It it is really necessary, it can be microwaved again - but only for 15 seconds at a time. 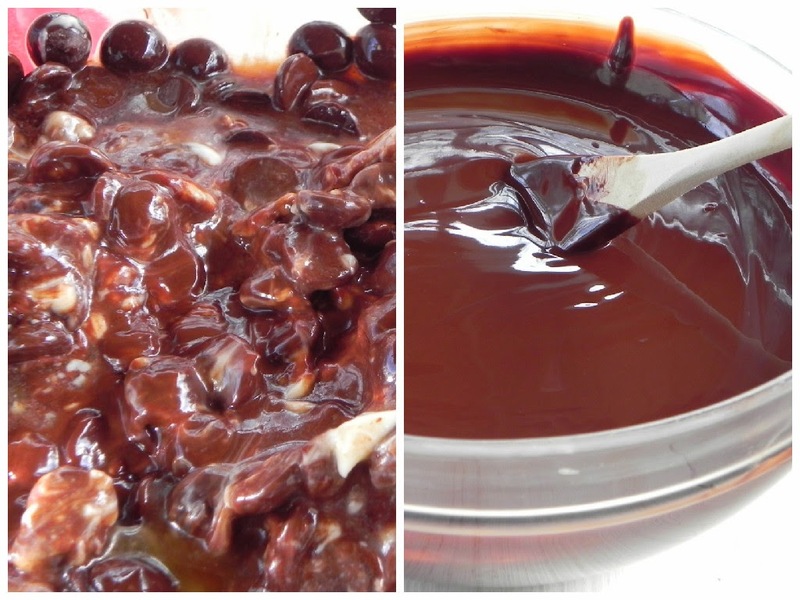 Now, pour the egg mixture into the melted chocolate and butter and gently fold to combine. Pour the batter into the greased cake pan or divide it evenly between the tart pans. Place in the oven and bake one hour for the cake pan and 45 minutes for the tarts. A "crust" will form on top, but when touched, the cake or tarts will still feel soft or wiggle in the middle. After removing from the oven, let sit for 5 minutes. Then run a knife around the inside edges of the pan and gently invert onto wire cooling racks. Cool to room temperature before serving. Garnish with raspberries and a sprinkle of confectioner's sugar. Cake should be stored in the refrigerator. It Doesn't Matter Where - The Home Team Still Needs to Be Rooted On! Carla and Jim in the Keys, I got a blast from the past. 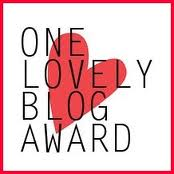 One night when we were sharing a super, she served us pork chops and thin slices of sweet potatoes that she had cooked on the grill in foil packets. I had forgotten all about cooking this way. The girls used to love it when I put meat and veggies in foil pouches and cooked them in the oven. The food basically gets steamed, and it comes out tender and tasty. 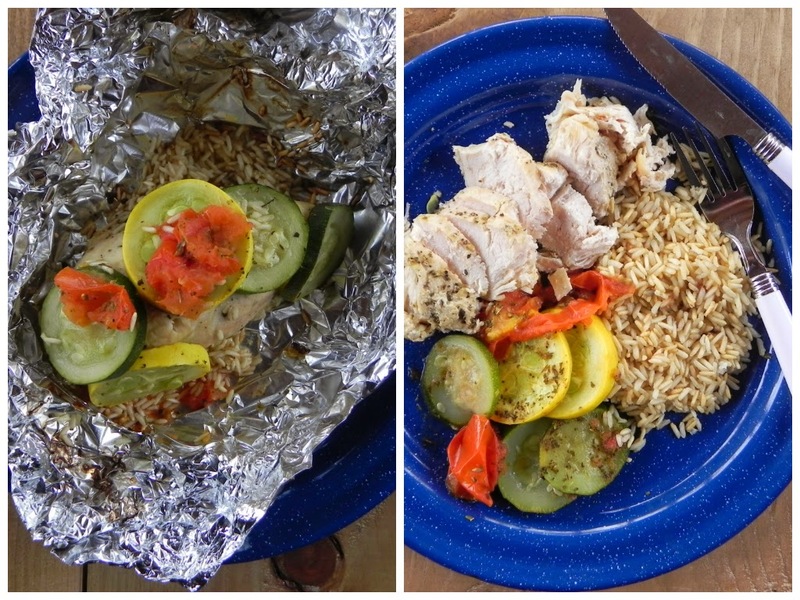 Later on the trip, we used foil packets to cook chicken, and after we got home, I even did fish in the oven. 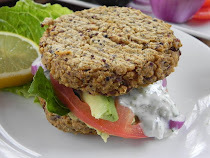 It's a fun family meal because every one can individualize their own packet with the vegetables and seasonings they choose, and either a grill, campfire, or the oven can be used. By the way, Roy surprised me with his fire building skills and I couldn't resist making a little video to document his talent. Click HERE to view. If you want to include a grain, choose one that cooks quickly. 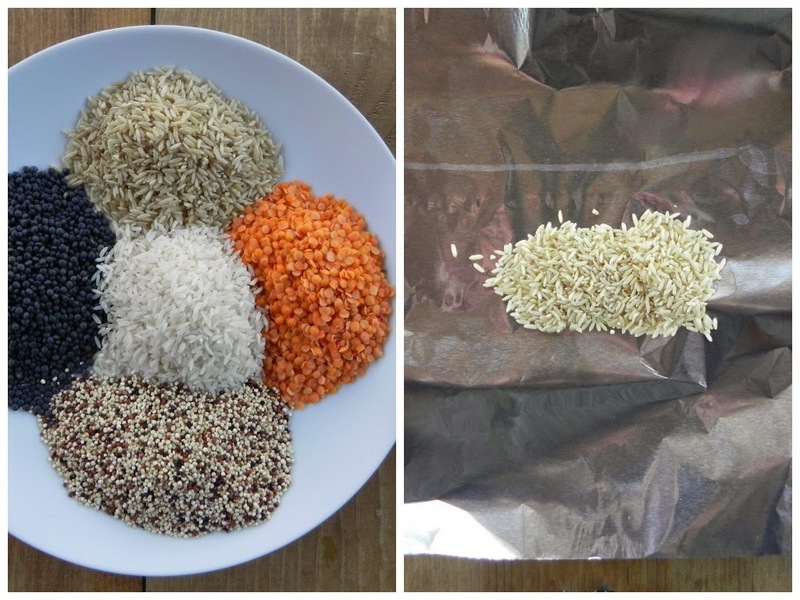 Good options are: brown or white quick cooking rice, tiny red or beluga (black) lentils, or even quinoa. Put two tablespoons of the grain on top of 12 inch piece of foil. Sprinkle two tablespoons of water or broth over it. Next, place the meat on top of the grain. Use fish, chicken breasts, or even a pork chop. 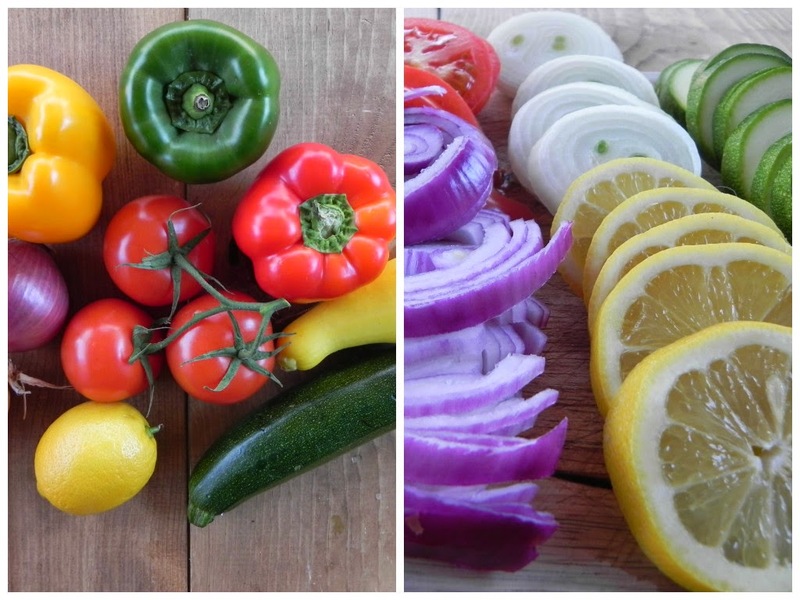 Wash and slice vegetables and place on top of the meat. Lemon is nice with fish. Zucchini and summer squash add moisture. Finally, sprinkle on a teaspoon or two of any seasoning that would complement meat and veggies that are chosen. Lemon pepper, Greek seasoning, and fajita spice mix are always good additions. Drizzle a teaspoon of olive oil over the top and seal. 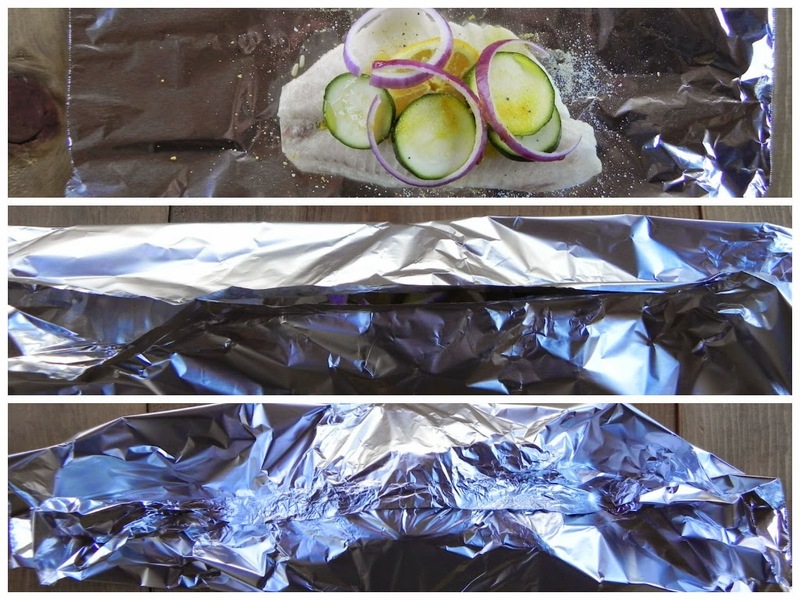 Bring the top and bottom edges of the foil together, and fold them over to lay flat. Fold each side edge together, to seal the packet. Grill 10 minutes per side, or bake at 350 degrees for 40 to 50 minutes. Open carefully, the steam will be hot. Transfer to a plate and enjoy.